The Violet Flame Meditation is a powerful alchemical tool used by spiritual aspirants to transform and transmute lower energies within. This is a powerful spiritual fire of self-transformation so it assists us in our spiritual path by burning away our physical, emotional and mental turmoil. This Violet Fire is the source of alchemical death and rebirth. You burn away the parts of you that you’re ready to let go of and recreate what you desire all in the Violet Flame. 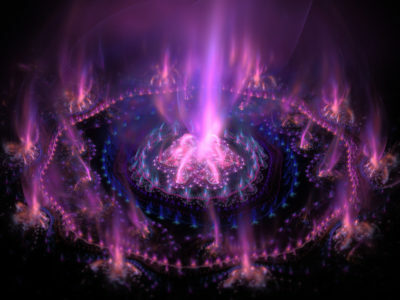 The Violet Flame comes from the power of the Seventh Ray of violet energy. It is one of the highest vibrations on the visual spectrum of light and it includes the qualities of mercy, forgiveness, freedom, and transmutation. The meditation can help you transform the lower energy, thoughts, and feelings that have been plaguing you. You can use this meditation over and over again. I use this meditation and the Violet Flame anytime I feel overwhelmed with emotions or when I have thoughts that will not go away. You will have access to the informational video about the Violet Flame that will explain what it is and how to use it in your life. The meditation is an MP3 and may be downloaded to your computer.